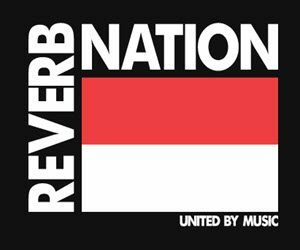 Reverb Nation is a unique website for emerging musicians. It’s a social media music platform that allows for new artists dawning onto the scene to put their music for free onto the site for millions of people to steam. It has allowed for famous artists to build their careers, join venues, festivals, and even brands. The company behind Reverb has even been able to create music producers from their brand. At first, they were a small property but over time they’ve grown to have millions upon millions of users, so much so that their logo is iconic throughout North America. Currently, the brand holds concerts and venues on a weekly basis throughout the continent. Their behind artists like The Electric Sons, Midnight Mod, My Gold Mask, Hope Country, Eagle Trace, Nora Collins and Circle Switch. These are just seven of the hundreds of different beloved artists who have worked with the brand at one point or another. The best aspect to Reverb Nation is that you aren’t required to register an account in order to browse the hundreds of artists on the platform. It’s free for everyone without any hassle which is the basis as to why they’ve grown so popular. Most other music platforms such as Spotify or Soundcloud require that users make an account or even get a subscription to use their service. In the world of Alternative Rock, it’s always been widely accepted that breaking the rules, not conforming to the “Man” is the underlying tone of the genre. Reverb is one of the few platforms that still embody this lifestyle. Reverb’s popularity holds no boundaries. Any artists who wanted to try their hand at the “Battle of the Bands” in Austin, Texas could do so by trying out for free on the platform. Winning their competition would have you enter the battle and win $2,500.00 thanks to a performance fee. This is a competition that this platform has held for three years in a row now. It is motions such as these that give anyone who believes their talented the opportunity to do so. It’s truly the American Idol of Alternative Rock for the internet. Reverb isn’t just on desktops or laptops as they also have a mobile app called “Reverb Nation Discover”, that is fluid and simplistic landscape makes it easy for users and even artists to use the application. It’s available for both Android & IOS. Artists can choose to pay up to $20 monthly in order to get the premium version of the platform. In the premium version users will be able to upload songs of any length, use various kits, have digital distribution, a website with a free domain and a profile that is free of any advertising. This essentially allows for the experience to be multiplied by a factor of ten. At this point, artists using this platform can act like any other working in the professional music industry.